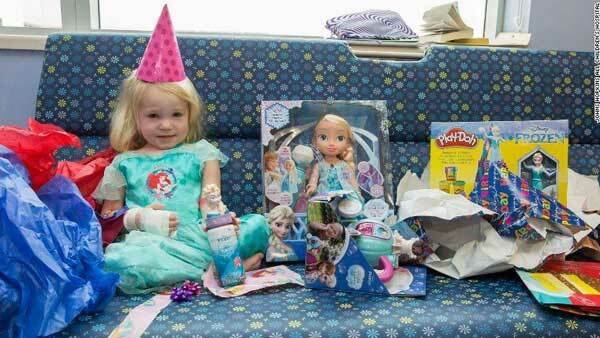 ST. PETERSBURG, Fla. -- When Hurricane Irma threatened to ruin Willow Stine's third birthday party, hospital staff in St. Petersburg, Florida, came to the rescue. 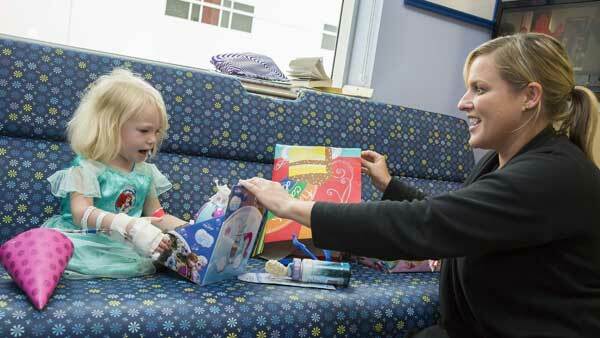 Willow was diagnosed with leukemia on Friday, just two days before the storm hit, and is now with her mother at Johns Hopkins All Children's Hospital here preparing for chemotherapy. "I was like, I don't know how much more I can take," said Willow's mother, Jennifer Stine. "My baby's turning 3 and has cancer and on top of that my 4-year old daughter and husband are an hour and a half away in a hurricane. I'm just trying to process all this." That's when hospital staff stepped in. "I always wanted this!" Willow repeatedly exclaimed in a video after opening each gift. When they presented Willow with a cake, she immediately took her hand that wasn't hindered by an IV line and scooped up some icing. 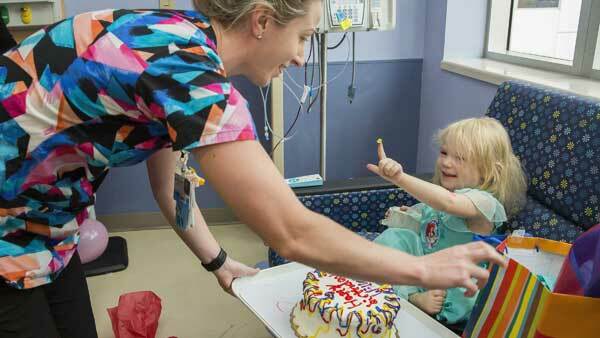 Her mother is seen on the video quietly crying as the staff sang "Happy Birthday" to her daughter. "The nurses were amazing. They're so wonderful," Stine said. "She got to be a toddler again." Willow's diagnosis actually came a few days early because of Hurricane Irma. On Thursday afternoon, Stine received a call from the pediatrician's office asking her to re-schedule Willow's 3-year old check up, which was supposed to be Monday. They asked her to come in later in the week after the storm had passed. Stine hesitated. Willow hadn't seemed quite like herself lately, and she was very pale. She insisted on bringing Willow in the next day. "My mommy intuition told me I couldn't wait," Stine said. The pediatrician, who noticed a worrisome bruise on Willow's leg, sent her to a local emergency room. 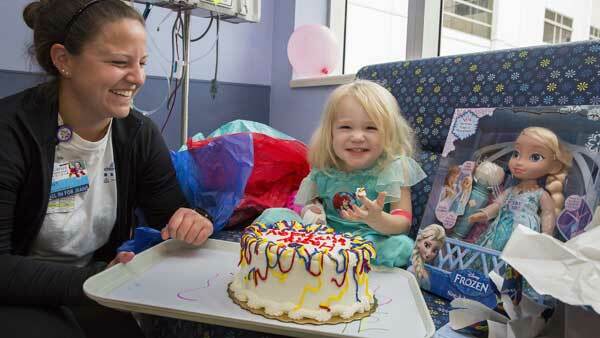 Doctors there sent Willow by ambulance to All Children's, where she was diagnosed with acute lymphocytic leukemia. "It's the most heartbreaking, scariest, most knee-buckling worst news you can receive," Stein said. Although she doesn't like getting stuck with needles, she enjoys caring for her mother and stuffed animals. She puts a toy stethoscope -- another gift from the hospital -- on her mother's chest and tells her to breathe in and breathe out. She takes her stuffed animals' blood pressure with a toy cuff. 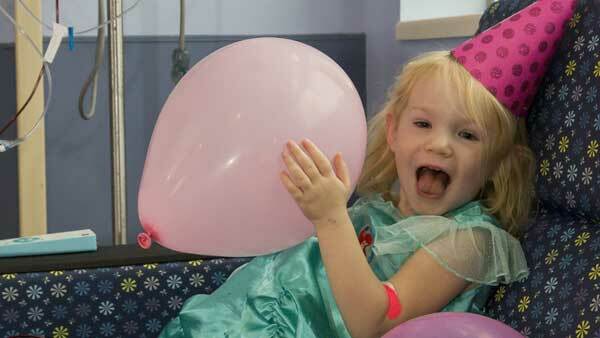 "She's just a happy kid," Stine said. She's smart, her mother said. When a nurse came to tell her she'd be getting "an arm hug," Willow replied, "no -- that's blood pressure!" In the meantime, her mother feels relieved that Irma weakened as it traveled up Florida's west coast toward her older daughter and husband. "I'm feeling much more secure now," she said late Sunday night. Irma's deflated path helps her stay resolute for her daughter. "You have to pull it together and be strong for your kids and be their rock, so that's what we're doing," she said.